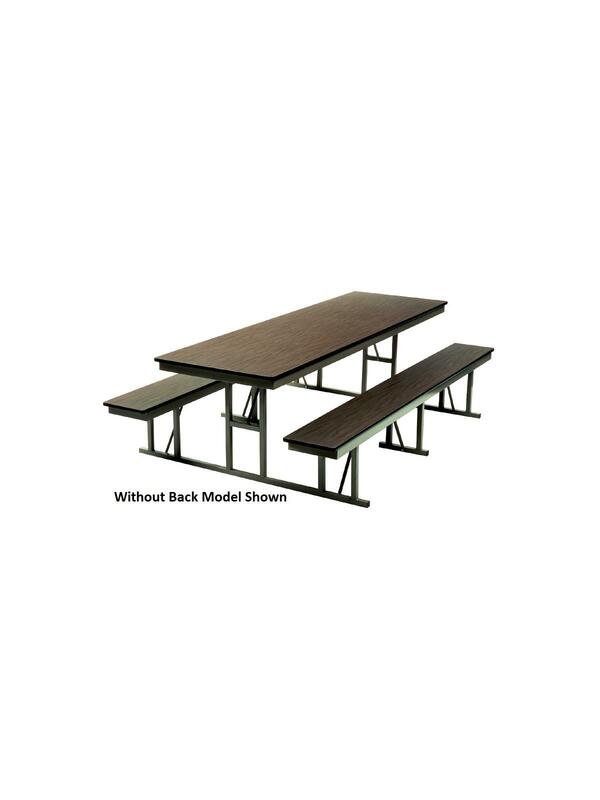 Solid one piece table delivers functional service with handsome good looks. 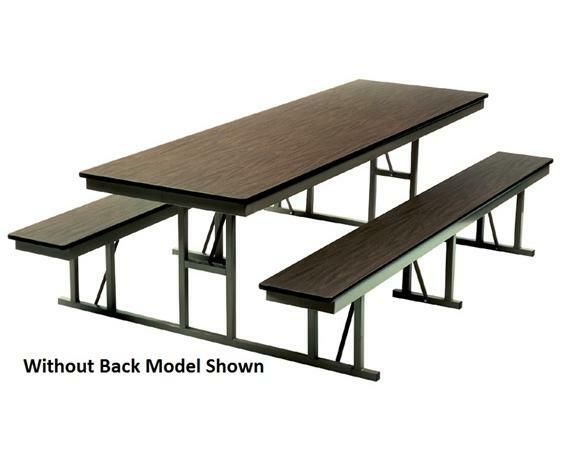 Seating is securely welded to the table frame to keep cafeteria areas neat and organized. Durable high pressure laminate top resist burns, stains and scuffs. Easy to clean and maintain. Ruggedly built for maintenance-free use. Top and base colors -- Walnut/Tan, Gray/Gray, Gray Nebula/Black. Available with or without backs. Assembly required. FOB Shipping Point. Size W x L 30 x 72" 30 x 96"